Ten years ago I wrote a blog post entitled Selling Technology vs. Selling Business Consulting. In that blog post I presented one of my favorite examples of surviving in a changing business environment: Fisher Body Works. Fisher built bodies for horse drawn carriages. And rather than go out of business when the world changed, they decided to retool and build bodies for automobiles. They dominated that field, building auto bodies for several brands, including both Ford and General motors. They were eventually bought by GM - but survived 75 years after their competition because they were in the transportation business and not the horse drawn carriage business. In my SMB Roadshow presentations, I talk about how fast the world is changing. I believe very strongly that the pace of change will only increase. And, as a result, large groups of people will lose their jobs to technology. Let me be very honest: I'm okay with that. There are already too many jobs that simply shouldn't exist except for the fact that people refuse to let them go. The number of obsolete jobs is going to skyrocket in the next five years and explode in the five years after that. Several people in my seminars have mentioned the web site Will Robots Take My Job? You might argue about the accuracy of specific numbers or industries, but the fact that this web site exists demonstrates a real shift in economics. The most obvious industry that will disappear is related to automated vehicles. I argue that the entire trucking industry will disappear within ten years. That's not just truck drivers who will be replaced by driver-less cars. Truck stops won't be needed when truck drivers aren't human. No need for showers, truck stop hotel rooms, restaurants, or shops that sell cups, shirts, and truck-related chachkis. Gone. An entire industry and its infrastructure gone. According to that site, there are 1.7 million "heavy tractor trailer" truck drivers. But there are many more millions who work in related industries. Everyone deserves a job, but no one has a right to the job they have. Everyone needs employment, but no one is guaranteed that their industry will continue to exist. Whether we like it or not, training for the future has to be a regular, ongoing piece of what we do - from now until we die. Change won't stop. You can fight it and resist it as much as you want. But you can't stop it. Even in the last 25 years there have been plenty of "jobs" that ceased to exist. Where did TV repair shops go? There are a few left. But there used to be thousands of them. Same with video stores. 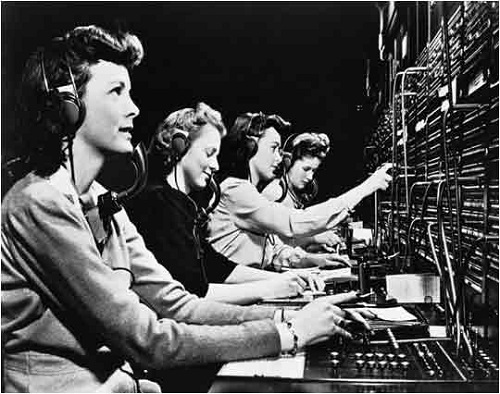 Same thing happened to elevator operators, telephone operators, and travel agents. Yes there are some left. But not many! If you've been watching the news, you may have noticed that fighter pilots who actually climb into airplanes are being replaced by drone pilots half a world away from the target. And at the local level, big box stores and the local grocery are replacing cashiers with self-service. People get on their high horse about this stuff and will lecture me about how horrible it is. But they shop at Home Depot and overwhelmingly don't stand in line for the one human cashier. We want convenience and value. That doesn't always mean a low price. I buy my shoes and t-shirts online because I know exactly what I want and I don't have to stand in line, drive to the mall, or spend my time. There's no experiencial trade-off for me. I don't enjoy standing in line, driving to the mall, or spending my time buying shoes. I'd rather click a button online. The answer to future employment cannot be to stop technology. That has never worked. John D. Rockefeller fought for years to prevent electricity from being widely available at a reasonable price. Why? He was a forward looking guy, right? Well, he had a huge stake (the largest stake) in oil and kerosene. If electricity won the day, kerosene sales would plummet. But electricity prevailed because it was inevitable. There was a time when intelligent people debated whether we should write down our thoughts in order to preserve them. Did the written word actually make people less wise? As Plato says, "You give your disciples not truth, but only the semblance of truth; they will be hearers of many things and will have learned nothing; they will appear to be omniscient and will generally know nothing; they will be tiresome company, having the show of wisdom without the reality." There you have it. One of the most basic technologies - writing - opposed by Plato in 370 B.C. People have opposed one technology after another. Rarely have they turned back the clock, or even slowed the advancement a little. The path forward is knowledge. We all have to be life-long learners. And many of us will find that we need to create jobs that are unique to us. The super good news is that ALL technology will be re-created and refreshed in the next five years (and every five years after that). That's good because it means you can learn it. Someone will be the "the best" at every technology. And the never-ending parade of new technology means that anyone who chooses can learn a new thing and become one of the best within just a few years. Interestingly enough, the biggest deterrent to massive change is corporate America. Large corporations are very comfortable being one or two generations behind. We make fun of the military for using old computers. But virtually all of the largest companies in America are using old technology because they've already invested in it. So some jobs will be around awhile. But if you're not in one of those jobs, now is a great time to think about what you want to do in the next five years. And start training! MSP and Financial Super-Star Rayanne Buchianico has revised and updated her Financial Processes course over at Great Little Seminar. Classes start tomorrow! This five-week course is one of our most popular every year. Rayanne owns an MSP, but she is also an accountant and has a good business helping I.T. service providers get their finances straight - so they can get their business straight. All classes are recorded and can be downloaded in Webinar or Audio formats. I am doing a free webinar this Wednesday with SMB Nation. Register here: http://unbouncepages.com/msptechtalk2017/ - Free. Branding is More Than Your Logo - It's Everything You Do! This is part of the last of the MSP Tech Talk Series from SMB Nation. They've had a series of negative public relations incidents over the last few months. And guess what? It hasn't changed their logo one bit! When people say things such as, "United does this" or "United does that," it reflects directly on their brand. Consider your own brand. What does your company stand for? When people talk about your company, what do they say? What do they say you do? How do they describe your uniqueness? Join us for an entertaining and educational 90 minute webinar - Noon Pacific on Wednesday! This all-day seminar is 100% education. No vendors on site. No booths or up-selling. Just education on my very successful "Cloud Five Pack" and how we make 73% profit on our small clients. - 4 in the U.K.
- 7 in the U.S.
And if you register now, it's only $599 ! You will literally pay for that with the first client you sign. In fact, you'll probably pay for it with the you charge! This really is a business model you can execute right away. One guy from the "dry run" we did of this seminar was able to create an offering and sign two clients within TWO business days of the event! We will cover the strategies for creating a powerful and profitable cloud service offering for the small business market. My managed services businesses have been selling these bundled cloud services since 2008. In fact, it's one of the things that helped us thrive during the recession! I just finished the Seattle and Portland seminars for the SMB Roadshow. I got some great endorsements (which I'm posting on my YouTube Channel). But I wanted to highlight a few very enthusiastic videos here. "Hi. I'm Ken Shafer with Agape Computing in Salem, OR. Karl Palachuk has just done what Microsoft has failed to do by training the partners, managed service providers, and resellers in how to actually implement cloud services. Including checklists, business strategies, sales strategies, and most of all the technical implementation part that has been missing from larger cloud vendors. Thanks, Karl!" Steve Banks from Seattle says, if you haven't see the roadshow, "You are missing out!" 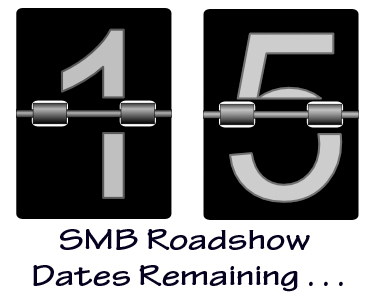 As of this blog post, there are only 15 more stops on the 2017 SMB Roadshow Tour. Do yourself a favor and sign up today! I've just posted my 100th SOP video. Check out my YouTube channel at http://www.youtube.com/smallbizthoughts. In addition to 100 SOP videos, you'll see hundreds of others. Subscribe to the channel and you'll never miss a new video. Some folks view SOPs - standard operating procedures - as "rules" that much be followed. But sometimes you need to break the rules. Sometimes you need to operate outside the SOPs. 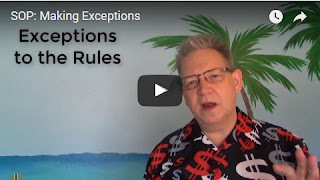 But when should you make exceptions? And how do you make exceptions without breaking the system itself? This video provides some guidelines. My friend Len Dimiceli (VP of Channel Sales at MyDigitalShield) slipped this memo over the transom and asked me to pass it along. My Digital Shield (MDS) is a leading provider of ElasticUTM and SD-WAN fused as a platform that provides enterprise-quality connectivity and security technology to small businesses and branch offices. Based on industry-leading unified threat management (UTM) technology, MDS’ customizable cloud-based security solution offers continual protection against cyber threats and intrusion at an affordable price. With no bandwidth pollution, the ElasticUTM delivery model ensures that the latest virus definitions and threat updates are in use for continual threat prevention. Founded in 2013, MDS serves thousands of managed service providers (MSPs) and small businesses in various industries, including retail, restaurants, hospitality, and professional services. For more information, visit www.mydigitalshield.com or follow on Twitter @MyDigitalShield. Wilmington, DE– June 20th, 2017 – My Digital Shield (MDS), a leading provider of Security-as-a-Service (SECaaS) for small businesses, announced today the release of OmniWAN, a SD-WAN solution tailored to small and medium-sized businesses (SMBs). A combination of Elastic UTM and SD-WAN, OmniWAN brings important quality metrics to existing internet connections, turning cable, DSL and more into enterprise-quality MPLS, without the costly price. Having offered OmniShield, an ElasticUTM platform tailored to provide Fortune 500-grade managed security services to SMBs, MDS sought out to create a high-performing, secure UTM coupled with high-performing internet connectivity at a small business price. OmniWAN optimizes the internet connection or bonds multiple internet connections, sets several parameters and adds dynamic guardrails in order to keep all traffic flowing optimally. OmniWAN also adds other technology to ensure all applications are treated and optimized according to how they should be treated across the network. All applications, including voice, video streaming, music, webcasts, video conference and file transfers, are sensitive to different network parameters such as bandwidth, latency, jitter, packet loss, fragmentation, etc. OmniWAN ensures each application receives the optimal treatment for its sensitivity requirements. "SD-WAN and ElasticUTM are extremely powerful independently, but when properly used together, the enhancements are exponential," said Andrew Bagrin, founder and CEO of MyDigitalShield. "We didn't want to become another SD-WAN provider; our goal was to enhance OmniShield while building a combined solution for the SMB market. As a result, we are able to bring the high quality and reliability of expensive networks at lower costs, but with baked in high-end security." Tested by MDS channel partners for months, OmniWAN and OmniShield have shown great success. "OmniShield has always been an amazing concept for security and one which has proven to be extremely effective for our clients; however, I was a bit skeptical about OmniWAN,” said Kenneth Holley, founder and CEO of Information Systems Integration, a premier MDS channel partner. “After experiencing it first hand, thoroughly testing in our lab and several other locations, I am amazed at how the combined solution works so well. The improvements to the networks are incredible. Absolutely everything works better, is faster and more secure. The OmniWAN and OmniShield combination is exactly what we - and our clients - needed." For more information about MDS’ OmniWAN, visit http://www.mydigitalshield.com/omniwan/. Whether you call it a Quarterly Business Review - QBR - or (as I do) a Quarterly Roadmap Meeting, you should meet with each of your clients on a regular basis to discuss business. This is not a sales meeting! This is an opportunity to learn what's going on outside the technology world at your client. You need to see the whole picture in order to give good advice. Many managed service providers try to do this and find themselves slipping into a sales meeting. You can schedule sales meetings another time. This should be all about what's new, what's changed, and what's planned at the client's office. Once you know where the client's business is going, you can help them to make good decisions about technology. That makes you so much more than the "Tech." This report identifies the threats and trends IT security professionals, from CISO to Security Operations, should be most prepared to address. It draws from the vast array of network devices and sensors within production devices, comprising billions of events and incidents observed in live production environments around the world between January 1 and March 31, 2017. Read about the risks of encrypted network traffic, the widening repercussions of ransomware, and potential exposures sorted by infrastructure, industry, and region. Learn about Azure Active Directory. We will cover some of the top features, including a demo of enabling them and time for Q&A. Branding. Every Single Thing You Do Is Your Brand! Branding isn’t about your logo or your business cards. 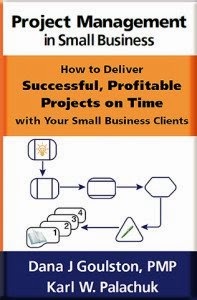 Join author and trainer Karl Palachuk for a wholistic look at your business. Karl shows how every single thing you do in your business determines your brand – including those things the client never sees. Sign up for all three. I'll see you on the 28th! Shout out to all the folks who have attended (or registered for) the SMB Roadshow: I've just posted two video trainings and two extra checklists to download. They're in the "Registered Attendee Downloads" at www.smbroadshow.com. One of the strategies discussed on the Roadshow is using Jungledisk to map a drive letter in the cloud storage (e.g., Rackspace or AWS). And while I gave you the UP and DOWN Robocopy scripts, one member of the Roadshow Facebook group asked for more detail. The videos also mention handouts 19 and 24 from the zipped handouts you should already have. Thanks to Brian for posting the request. If you have questions, post them in the SMB Roadshow Facebook group: https://www.facebook.com/groups/SMBRoadshow/ (This is a closed group for registered attendees). If you haven't registered for the SMB Roadshow, please check it out at www.smbroadshow.com. This is a perfect example of what we're trying to do: A thorough click-by-click training on how you can create and implement a very profitable cloud offering for your small business clients. We have 17 more stops this year - Join Us! 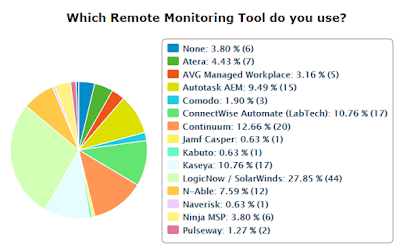 Two weeks ago I ran a survey about RMM (Remote Monitoring and Management) tools. The first results were posted on my blog here. - The Remote Control tool is the most important feature users "love"
4. If you have not implemented your RM Tool at least 75%, why not? 13. Is there one thing you super-duper love about your RM? What is it? 14. Is there anything you absolutely hate about your RM? What is it? 20. Any related comments or topics we didn't ask about? Let's start with love and hate. 117 respondents (75%) had a comment about something they loved. One of those was simply the comment, "Love? That is strong." Yes, it is. Since I asked about whether people would choose their current tool again, I thought it was important to try to tease out whether that's because changing would be a hassle or whether users really love the tool they have. The following percentages are all based on the 117 responses to this question. First of all, let's acknowledge the comment that Love is a strong word. But more than that, my actual question was whether there was something you Super-Duper Love about your Remote Monitoring tool. 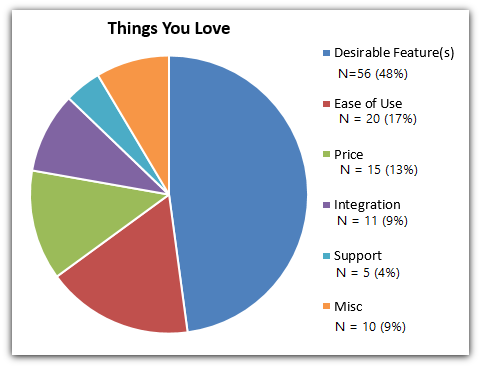 It says a lot that 75% of those who filled out the survey have at least one feature they truly love about their RM tool. Obviously that's good news for vendors. The remainder is a list of 21 items mentioned once each. The fact that Remote Control tools are mentioned so prominently should send a signal to vendors: Take this seriously. The 19 mentions is even significant if you extent the universe to all respondents. It means that 12% of all people who took the survey love the remote feature enough to single it out. Compare that to backup, mentioned only once, and two variations of comments on anti-virus, also only mentioned once each. 113 respondents (72%) had a comment about something they hated. No one seemed surprised by this question. At least love and hate are pretty well balanced. 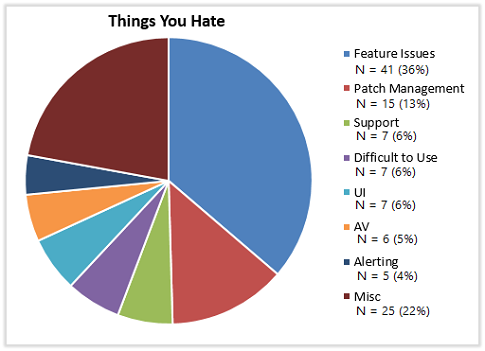 I was surprised, however, by the one thing that was most mentioned as a "hate" item for RMM systems: Patch Management! The following percentages are all based on the 113 responses to this question. The "hate" category is far more spread out than the Love category. 41 respondents (36%) mentioned some specific feature. But there was no one feature that stood out on the hate category the way remote control dominated the love category. But the item that really stands out is Patch Management. 15 respondents (13%) cited patch management as the notable item they had the most trouble with. That's definitely not good in a remote monitoring and patch management tool! Of course we didn't get all the details, so there could be a variety of reasons for this. Are patches not being applied? Are reports absent or incorrect? Is the process just too difficult? Is it working fine and the user has no way of knowing that for certain? This is definitely an area worth looking into more closely. Of the 15 who hate their patch management tool, Nine (60% of the 15) rated their overall satisfaction with their remote monitoring system as Good or Very Good. Five of them (33% of the 15) rated their overall satisfaction with their remote monitoring system as Fair. Only one of them rated they RM system as "Very Poor." So while this issue stands out, it doesn't appear to have a major impact on overall satisfaction. We step down quite a bit to the next category of things readers hated. Support/account management got seven responses, as did difficult to use and User Interface. Everything else drops off from there. The good news for vendors of RM solutions is that problems are shallow and wide. Most "hated" items were literally mentioned only once or twice and could not be aggregated with others. While you don't want to ignore these concerns, at least you know there's not some glaring problem in one area. In all, 63 people (40% of all respondents) answered Question #4: If you have not implemented your RM Tool at least 75%, why not? And by far the answer was a very predictable lack of time or resources (but mostly time). The following percentages are all based on the 63 responses to this question. 22 respondents (35% of those who answered this question) said that time or another resource limitation was the problem. And 17 of those 22 specifically used the word time. 9 respondents (14% of those who answered this question) said that they were using another product for some of the features. For example, several people don't like the anti-virus program bundled with the RM solution, so they buy AV elsewhere. As I mentioned in Part 1 of the results, difficulty in using the product was not a major barrier. Only eight people (13%) said they did not implement the software because it was too difficult. There were a few additional reasons with one or two respondents each. Two categories stand out here as needing attention: Time and the MSP Model. Both of them have the same answer: You need to get help! If you haven't had time or don't managed time well, you need to join a peer group, find a coach, hire an assistant, or do something to get un-stuck. Even if you consider the tool simple to set up, it's still a lot of work. But the sooner you start using most of the features, the sooner you'll start improving your service and profits! Figuring out the MSP model is really a matter of clearing your mind long enough to think about your options and picking one. So we're back to peer groups, etc. You have to take time to work ON your business. But you already know that, right? There are many great resources today. Get help! I asked folks to comment on any additional information that I should have addressed in the survey. Here are a few suggestions. - How open is the vendor to your feedback and suggestions? The one that really struck me was the question of using multiple RMM tools at the same time, and related topic of changing tools. I should know better - I've used multiple tools and I've changed tools a few times. We started out with Kaseya back in the day when they had no real competition. After a few years, we ran Kaseya and Zenith (Continuum) side by side on servers for a year. Then we moved to strictly Continuum. Eventually, I started working with MAXfocus/LogicNow and we started deploying them and replacing Continuum. When Mike took over the company, he moved all clients to LogicNow (now SolarWinds MSP). A few years later he sold that company and I started another MSP business. I implemented the LogicNow product exclusively. I hope you found this useful. If you think we should do one on PSAs, let me know. I'd love to get over 500 responses just so I feel more confident in the representativeness of the numbers. This survey was conducted May 23rd to May 31st via the Small Biz Thoughts blog. There were 158 respondents total. All the errors are mine! I don't normally do obits, but I want to stop for a minute and say goodbye to a friend and a wonderful member of the SMB IT community. Cecilia Galvin was the Executive Editor of ChannelPro-SMB. She passed away last night and left a true void to be filled. Here she is showing off her "wedding ring" at a ChannelPro conference. Someone told me once that the people you work with are not your friends. They are co-workers and business associates. But not friends. Well, I disagree with that completely. I love the "gang" at ChannelPro. On countless occasions I've hung out with these folks - Michael, Joel, Rich, Cecilia, Lisa, Matt, and Daisy. Even though they live all over the country, they are very close friends. They are a family when they get together. They even fight, but they truly love each other. It is very sad to lose a member of that family. In any business, you do business with people you know, like, and trust. And particularly in small business, you get to be friends with some of the people you meet. True friends. Cecilia was fun, talented, energetic, and playful. 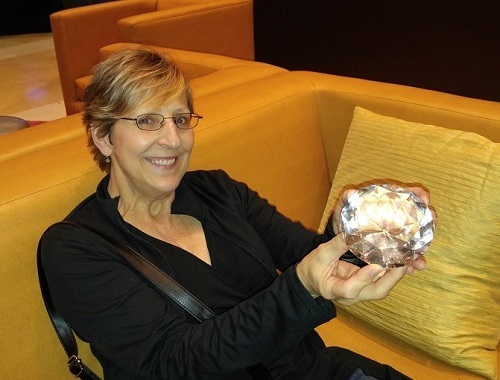 She was also an excellent journalist and brought a real piece of her personality to ChannelPro events. I will miss her and I'm grateful I got to know her. Goodbye Cecilia. You will be missed! This is the 1,600th post on this blog. I started in February of 2006, so that's about 145 posts per year. An average of more than ten per month. From this blog I have managed to create a delightful group of readers all over the world. Thank you for your support. I've also used it as a platform to create some major projects. Most notably: The first edition of Managed Services in a Month - the #1 selling book on managed services on Amazon.com for more than ten years. I also spent three years writing up SOPs every Friday for the SOP Friday series. Those are indexed and archived at www.sopfriday.com. 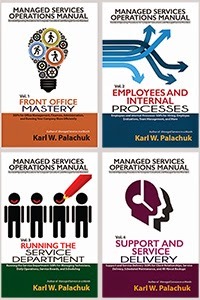 And that collection of SOPs eventually became about 70% of the product that became the Managed Services Operations Manual - a four volume set that is also very popular on Amazon and on my site at www.SMBBooks.com. My goal when I started was to provide about 90% business and operational information rather than technical. I love the technical, but there's no end to the technical information you can find online. There was almost no business-oriented information for SMB IT providers back in 2006. Social Media have evolved non-stop since this blog was created. By the standards of 99% of all advice you might receive on blogging, I am doing everything wrong. For example, here's some advice you'll receive from professionals. 1. Don't use Blogger. It's limited. Instead, use Wordpress. In a word: WhatEVER! Blogger is owned by Google. So it works very nicely with YouTube and other services owned by Google. Also, it's their job to keep up with labels, tags, mobile look and feel, plug-ins, etc. And there are zero limits on traffic or bandwidth. This has always been a Blogger site and I do essentially nothing to maintain the site or the infrastructure it's on. I have other blogs on Blogger, and I have some on Wordpress. Big picture: Blogger is easier and no one seems to care. 2. 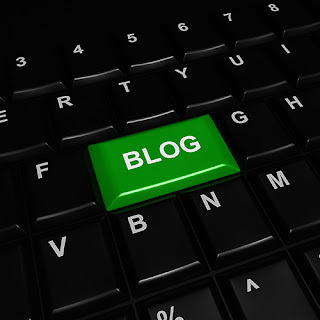 Write short blog posts. Ha ha ha ha ha! I have written several blog posts that run to 7-10 pages. People read it because they need the information. I like to write and my readers like to read. It's a fit. If I were posting cat videos I would write shorter blog posts. Instead, I write whatever I want and you folks seem to read it. Thank you. 3. Don't piss people off. I don't intentionally piss people off. But sometimes it happens. I tell it like I see it. If you're insulted, you might spend five seconds evaluating what I say. But if you just get mad and leave, that's okay too. I read lots of blogs and web sites. I don't agree with everything I read. And sometimes I have to decide whether the advice is worth anything at all. But that process keeps my mind working so I try new things. There are no right answers of perfect answers. There are only a few ways to do something technical (e.g., backup a registry). But there are a billion ways to run your business. Be open to ideas! Here's my formula for blogging: I do whatever I feel like at the moment. Sometimes that's good for me and sometimes it's bad for me. But in the end, it connects me with an audience that is interested in (or entertained by) the stuff I'm doing. It might not be a large audience, but it's an audience that I have enjoyed connecting to and working with over the years. Thank you all. With luck, we'll do this for another 1600 posts! I'm doing a webinar in conjunction with SMB Nation. The “cafeteria plan” is dead. Stop selling every little thing as an add-on with low margins. I've built several businesses with a strong focus on bundling services for a much higher price. 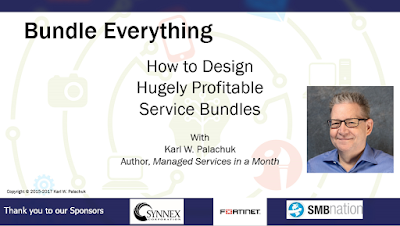 Join me for a thorough walk-through of the process of choosing what to bundle, selling your bundled services, and keeping the profits up over time. 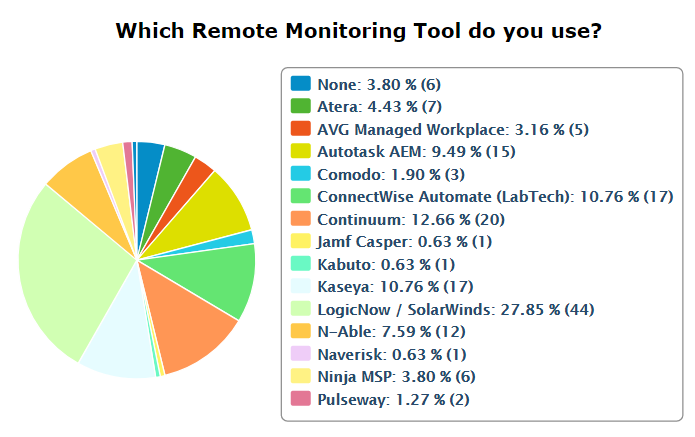 I recently did a quick survey of RMM (remote monitoring and management) tools on my blog (here). My plan is to issue two reports on the results. This is the first, covering the basic responses. RM Survey Results Part 2 is here. Of course this is not a massive survey. But it's also not just the results from just one magazine readership or another. And it's not a vendor-sponsored survey. So it just represents the people who answered the survey. SolarWinds MSP (formerly LogicNow) is the #1 RM vendor with 28% of the market. After that, there's a gaggle of predictable tools with low double digit market share each. These include Continuum (13%), Kaseya (11%), LabTech (11%), and Autotask AEM (10%). In all, that's about 73% of the market. Nine other brands make up the remaining 23% of the market. Only about 4% of readers had no RM tool at all. For vendors, there are two areas of growth. One is to broaden the market and sell into a growing sector. The other is to steal customers from other vendors. If 96% of the market is using something, then the growth has to come from displacing another vendor. How easy is that? Let's see. Note: When I ran the survey, I forgot that N-Able is now in the SolarWinds family. That makes the SolarWinds MSP share, which takes them to 35% of the market. And that means the five front-runners hold 84% of the market, leaving eight other brands with 15% altogether and 4% of the market with no RMM solution. Overall, people love the tools they've chosen. Seventy-three percent (73%) rate their overall satisfaction with their RM tool as either Good (49%) or Very Good (29%). Only 4% of all respondents rated their tool as Poor or Very Poor. Over half of all readers (54%) have had the same RM tool for three or more years. Almost half of that (24% of the total) have had the same tool for six or more years. 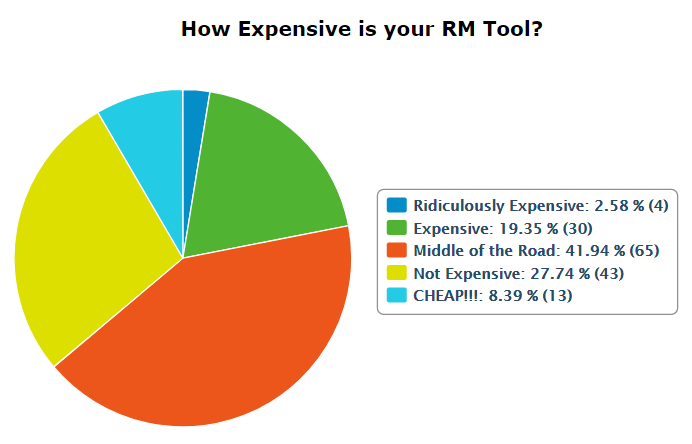 About 18% have had their RM tool for one year or less. This suggests not only that RM tools are almost universally used, but there's a strong tendency to stick with the tool you have. Additional research would have to tease out how often companies have changed tools or used two or more RM tools at the same time. When respondents were asked, If you could go back in time with perfect knowledge, "Would you buy this RM Tool again?" Sixty-one percent (61%) said yes. But, a very significant 30% said they don't know. That's a huge swath of managed service providers who might be lured away by another tool. And of course there's the 9% who would not buy their current tool. They are clearly candidates for a switch. One bit of common wisdom we often hear is that these tools do not get fully used or fully implemented. This survey suggests otherwise. By far, the largest share of respondents (42%) say that they have implemented 76% to 99% of all features. Another 8% claim to have implemented all features of their RM tool. Twenty-four percent (24%) placed themselves in the category of implementing 51% to 75% of features. In all, a whopping 76% of respondents with an RM tool say they have implemented more than half of all RM features. Among respondents who have used the same RM tool for one year or less, 59% still report using more than half of all features. Thirty-seven percent (37%) say they've implemented three quarters or more of all features. It would be nice to see other surveys validate these numbers. They certainly dispel the myth that most users have not implemented most features of their RMM. Our respondents also found implementation to be rather trouble-free. Twenty-seven percent (27%) said they did most of the implementation themselves while 55% said they did all of it themselves. About 16% said the process was "Super Easy" while another 36% reported implementation to be "Pretty Easy." So, while implementation may not be the easiest thing a managed service provider takes on, it's certainly a manageable undertaking. Overall, readers are happy with the specific features of their tools as well. Eighty-three percent (83%) ranked their overall feature set as good or very good. One area that should make vendors very happy: Users like the interfaces! An impressive 79% of respondents rated their RM interface as either Good or Very Good. Only two percent rated their interface as Poor. It's not all good news for manufacturers as 20% of respondents gave their remote control utility a rating of fair. While the Good and Very Good categories are impressive (26% and 47% respectively), the very large evaluation of "Fair" suggests that there's room for improvement with the remote control component. Not every RM tool ships with a preferred anti-virus tool. Among respondents whose RM does have an AV tool, 47% rated the AV tool as very good and another 26% rated it as good. As for price, I suspect perception of price is about where vendors would like it to be. There's a pretty normal distribution, with 42% reporting the price to be middle of the road, 28% saying the price is Not Expensive, and 8% saying it's downright Cheap! And while that's good news, it's not great news. A total of 22% say the product is expensive or too expensive. Again, some follow-up may be useful with regard to switching tools or considering switching tools. The majority of respondents (67%) working in companies with five or fewer employees. Another 15% have six to ten employees, and 13% have eleven to twenty-five employees. About 18% manage fewer than one hundred endpoints. The majority (53%) manage 100 to 500 endpoints. 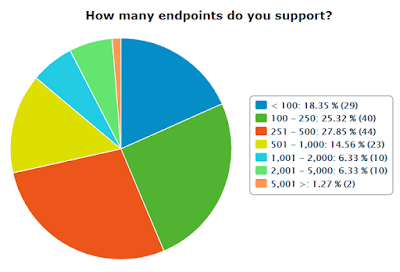 Twenty-seven percent (27%) support 501-5,000 endpoints. The chart below breaks this out a bit more. Our respondents have been in business awhile. Thirty-six percent (36%) have been in business at least sixteen years! Another 28% have been around 11-15 years, and 24% have been in business 6-10 years.